Often display impulsive or inattentive behavior? Have difficulty organizing and expressing ideas verbally? Struggle with reading and writing? View the world in new, creative ways? Suffer from digestive problems, headaches, allergies, or other chronic health conditions? Show more frustration and moodiness with school, friendships, and life in general? If so, you may have an “ALPS” child! But you won’t find “ALPS” in any official diagnostic manual.I came up with this term to describe the vast majority of children referred to our clinic for a possible ADHD diagnosis. They didn’t “just” have ADHD, but a cluster of symptoms in Attention, Language Processing, and Sensorimotor areas – ALPS! The day the “ALPS” acronym popped into my head, I remember thinking, “How fitting – because they certainly have a steep climb with all these challenges!” Eventually, I expanded the term to “ALPS-plus” because of additional learning, emotional and medical issues we found as well. Quite often, these children didn’t have enough symptoms in one area to qualify for school-based services. But added up, their so-called “minor” deficits were causing major problems, in school and in life. When I began to study this phenomenon, I realized we weren’t just imagining things! According to the research, the overlap among the ALPS-plus areas (attention, language, sensory, learning, mental health, medical) is anywhere from forty to eighty percent. Why? Of course, attention (or “self-regulation”) is the very foundation of focus and learning. But many other factors are involved as well. For example, language is the verbal scaffold from which a child learns to pay attention, make friends, understand and recall information, express thoughts, and regulate behavior – the very skills kids with ADHD often lack! Integration of our senses (vision, hearing, touch, smell, taste, balance) also helps us stay focused so we can learn. A healthy body, adequate memory, and regulated emotions are also crucial for everyday functioning. If there’s one thing I learned in my fifteen years in our multidisciplinary clinic, it’s that everything is connected! We must explore all ALPS-plus areas for children who are struggling! Unfortunately, current systems in our communities do not always evaluate the whole child, let alone collaborate closely to address all ALPS-plus issues for the best possible outcomes. So while the professional communities continue to work toward better awareness and cooperation, what’s a parent to do? Rest assured, you can do plenty! First, expand your knowledge. Then – collaborate. And last – advocate! Research has found parent involvement to be the single best predictor for a child’s success; so don’t ever doubt how vital you are to your child’s success! 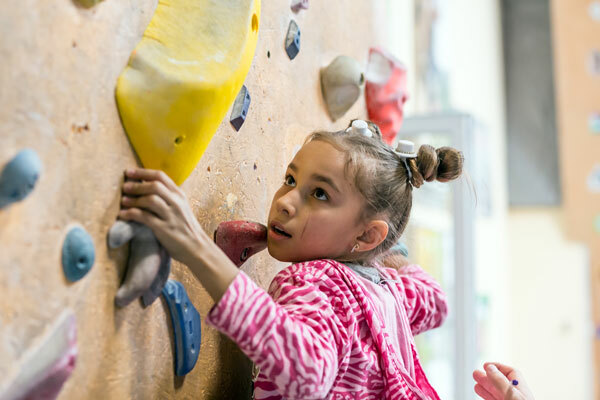 Blogs and articles such as this one, as well as many other resources (see resource section at the end of this article) will help you stay informed and empowered, so you can begin climbing your child’s “ALPS-plus” mountain with the confidence you need. 1. Buy a big three-ring binder or portable file.Best investment you’ll ever make.Trust me - you can’t keep all this stuff in your head or lying around on sticky notes. I’m digitally challenged, so I prefer real paper systems I can flip through manually. But if you’re great at scanning, aps, and computer filing, go for it. Just make sure your information is readily accessible because you’re going to be accumulating a lot of it! Clinical records – medical/psychological reports, vision and hearing screens – any information that’s not school based.Include a log of phone and in-person communications and contact information. School records – evaluations, IEP or 504 plan and related documentation (if your child has one), report cards, and letters from teachers. Include all phone/in-person logs and contact information here as well. Notes: Here you will write down all potentially useful information - suggestions, ideas, tips, and techniques from professionals, books, seminars, blogs/articles, other parents, support groups, websites. You can group your notes into headings such as “websites” or “book notes”. Or just organize by the date you came across something, saying to yourself: “Aha! This could come in handy!” Write it down!! To Do/Ta Da List: From your notes and consultations, you will be organizing a plan I call the “ABC Treatment Triangle” (more on that soon). This section will be your “next steps” list for that plan, e.g. “call Dr. Jones”; “write note to teacher”; “make sticker chart”, “e-mail Joanna re: home computer program.” You get the idea. 1. For Attention/ADHD: www.attitudemag.com/adhd-symptoms-checklist (from DSM-5). 5. For medical and all other concerns, check with your child’s doctor. These checklists will help pinpoint areas of concern and steer you toward the appropriate professionals. For example, if you notice many “red flags” when you read over the sensorimotor checklist, you may consider consulting an occupational therapist. If your child has attention concerns, but also was diagnosed with a head injury (even a mild one), you would want to team with a physician and a neuropsychologist. We often found language/auditory processing disorders in children referred for attention/LD symptoms. Try to cover all bases as best you can. Then, when you have your “ALPS-plus” reports, results, and recommendations for your child, it’s time to climb! The good news: whatever your child’s challenges, a myriad of interventions are available. Please note: although your child’s school is a huge part of the village, it can’t be the whole village. Parents should advocate for appropriate school services, but in all fairness, the school can’t be expected to do it all. Their resources, policies, procedures, and time are typically very tight. Augmenting special education services is almost always wise. C = Cognitive/Coaching Strategies (directly teaching new skills). In the middle of the triangle, write the ALPS symptom(s) you wish to tackle. Then, write “A”, “B”, and “C” at each point on the triangle, writing at least one strategy under each letter. Which ones? That will depend on your executive decision in collaboration with your child’s professional team. Let’s take a real case: Five-year-old Hannah was diagnosed with attention, language and fine-motor delays (an ALPS child!). We referred her to her pediatrician to check out some additional concerns, and Hannah was subsequently diagnosed with hypothyroidism and placed on medication. (The ALPS-plus syndrome!) This was a significant addition to her treatment, as hypothyroidism often affects a child’s cognitive/language development (and again, underscores the fact that everything is connected!) Hannah’s Treatment Triangle looked like this: A = reduced workload and schedule at school; B = medication for attention and hypothyroidism; sound therapy (provided at home under the occupational therapist’s guidance - Google “sound therapy programs”); C = speech/language and occupational therapy for her language and handwriting issues. Within six months, we documented substantial improvements in all areas. Her mom was thrilled, and so were we. This is just one of thousands of examples - every ALPS-plus child’s needs are unique; every ABC Treatment Triangle is unique. As you observe your own child, you will be able to evaluate each treatment you try. Along with your professionals, decide: Which do you feel is working?What’s not working? 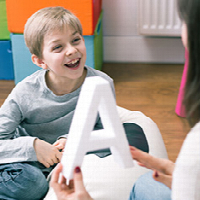 Continue this “Plan, Do, Review” process, and eventually you will find a core set of “ABC” interventions most effective for your child’s unique needs. But as your child keeps growing and changing, so will his Treatment Triangle. Keep it flexible! In the thirty-plus years I’ve been on my own ALPS-plus journey, I’ve never found one ANSWER to cure all ills – children are too complicated for a “one size fits all” approach. But with the system I just described, we have access to many little answers, that when added up and diligently applied, can greatly enhance our children’s progress. But the key is working together! Don’t be afraid to reach out, ask questions, try new ideas, and keep an open mind. Above all, enjoy the journey! With any mountain climbing expedition, you may experience setbacks: high winds, equipment failure, even an avalanche or two! But stay the course. Recite your own version of the serenity mantra daily. Mine went something like this: “Give me the serenity to accept what I can’t change” (e.g. My child got another detention today), “the energy to do what I can” (e.g. Schedule a meeting with his counselor to problem-solve),” and the self-compassion not to beat myself up for being a less-than-perfect parent” (Tonight, I’m treating myself to an early bedtime and an “Everyone Loves Raymond” rerun!) Use whatever works for your own serenity, and then pass it along to your child, who is precious beyond measure. Working with ALPS children (and loving my own!) over the past three decades has convinced me they have as much to teach us as we do them, and it just may be one of our little ALPS “different drummer” thinkers who will come up with a creative idea to save the entire planet! Let’s help them all we can, both as parents and professionals, by sharing our knowledge and insights, advocating for better integration of services, cheering our children on, then expecting miracles as more and more of them reach the top of their own ALPS mountain! The Mislabeled Child: How Understanding Your Child’s Unique Learning Style Can Open the Door to Success by Brock Eide, M.D. and Fernette Eide, M.D. 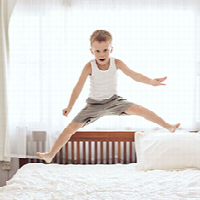 The Out-of-Sync Child Has Fun by Carol Kranowitz, M.A. Late, Lost, and Unprepared: A Parents’ Guide to Helping Children with Executive Functioning by Joyce Cooper-Kahn PhD. and Laurie Dietzel, PhD. 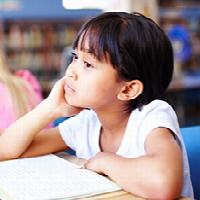 When the Brain Can’t Hear: Unraveling the Mystery of Auditory Processing Disorders by Teri James Bellis, PhD. 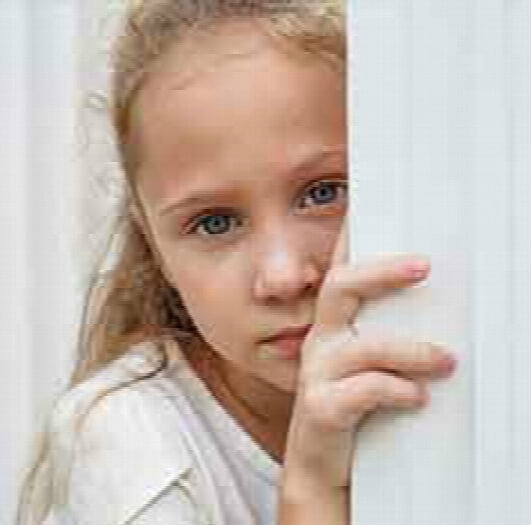 Healing the New Childhood Epidemics: Autism, ADHD, Asthma, and Allergies by Kenneth Bock, M.D. Carol Kauffman, M.A./CCC-SLP is a speech-language pathologist with a special interest in helping to integrate speech-language, occupational, educational, mental health, and medical services for children with ADHD and co-existing disorders. She helped implement the Attention-Behavior-Language Evaluation Clinic at Madison County Hospital in London, Ohio, and has provided services in early intervention, home health, school, Head Start, and clinical settings. She also led seminars throughout the country on the topic of service integration for children with “ALPS-plus” challenges. Presently, she writes about topics of interest for parents of children with special needs and is the proud grandma of Camden, two, and Bennett, eleven months. You can reach her at: ckauffm1@columbus.rr.com.